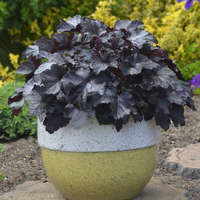 This attractive dark-leafed selection forms a compact mound of finely cut, plum purple foliage. 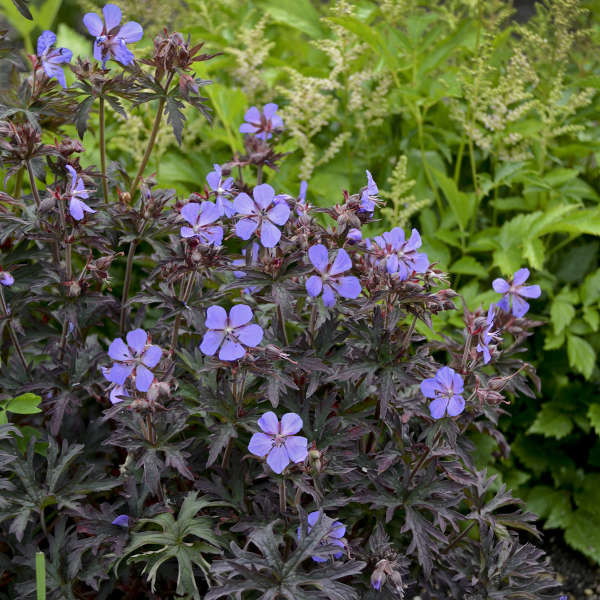 From early to late summer, leafy scapes carry clusters of vibrant lilac blue flowers which contrast superbly with the dark foliage. 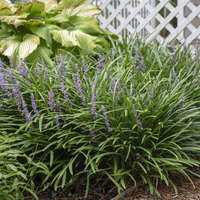 It makes a colorful addition to combination containers or the front of the garden. 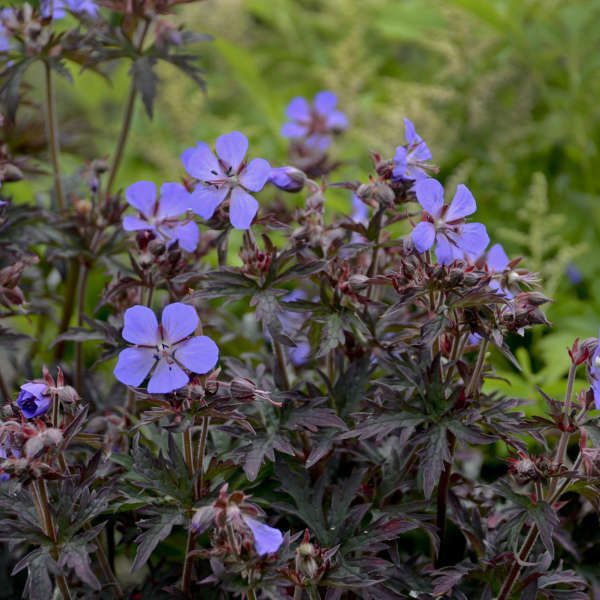 This species of geranium is easy to grow in almost any type of well-drained soil. 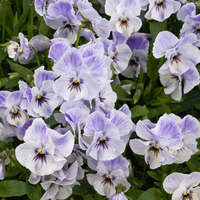 It is reported to be more tolerant of alkaline soil than the other species. 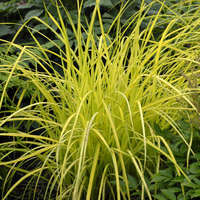 Plants should be sited in full sun or partial shade for best flowering performance. 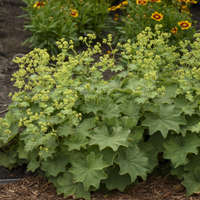 After blooming, plants can be cut back hard to encourage a flush of new growth and to prevent self-seeding. 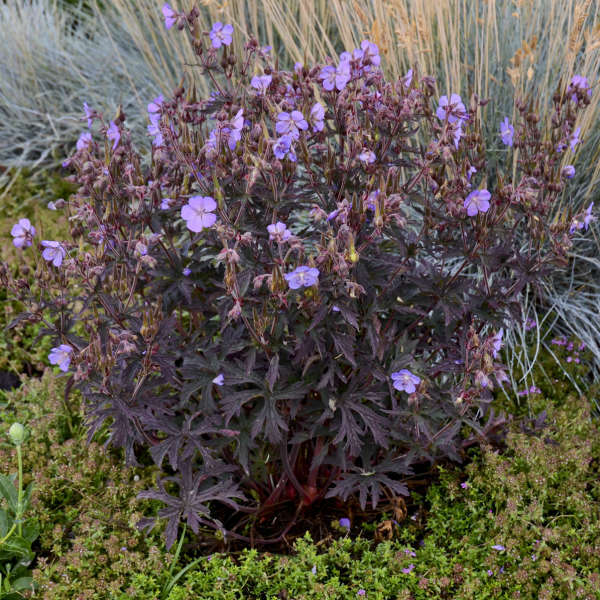 This species is able to tolerate short periods of dry soil once it is well-established. 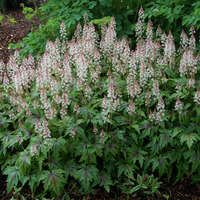 It requires minimal care and is generally not bothered by insects or diseases.